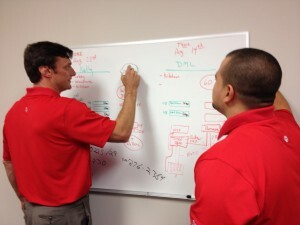 Haymaker is dedicated to ensuring our clients get the technology solutions they need. We do this through 4DG—a process we have honed over many years, tailored to the unique needs of every project and every client. 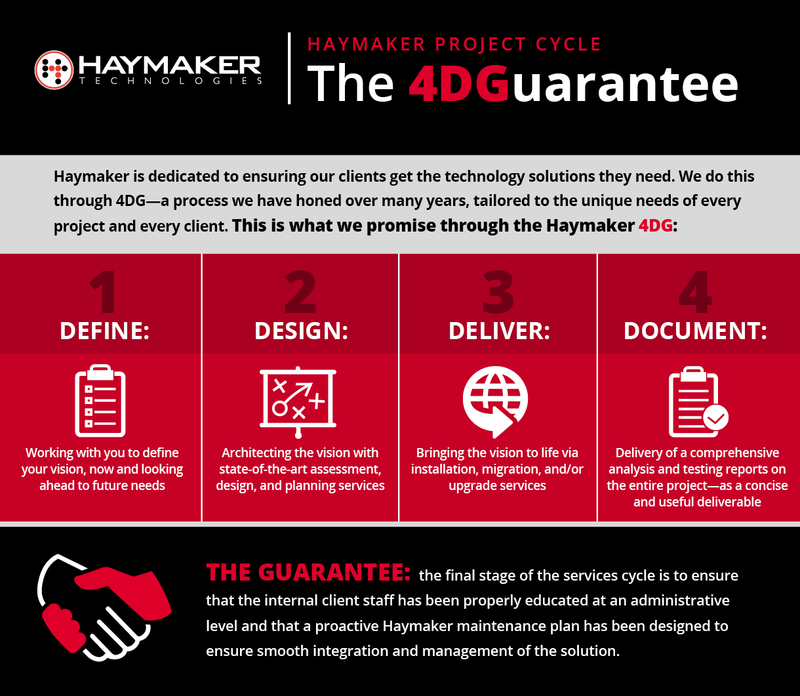 Haymaker offers 4DG services on a project (fixed cost) basis. Haymaker offers 4DG services at hourly rates and minimum bill times on a service policy / time & materials basis. Ensuring your internal staff has been properly educated at an administrative level and that a proactive Haymaker maintenance plan has been designed to ensure smooth integration of the solution. Haymaker provides flexibility in staffing through contract, contract-to-hire, and direct-hire arrangements. Many organizations successfully outsource some or all of their entire IT and/or telecom operations to us—so they can focus on their core business and industry strengths while relying on Haymaker as their technology partner. Click to enlarge the 4DG Graphic.